Last October, Devin Faraci, the Editor-in-Chief at the film criticism publication Birth.Movies.Death (which is owned by the movie theater chain Alamo Drafthouse), was accused of sexual assault by a woman on Twitter. 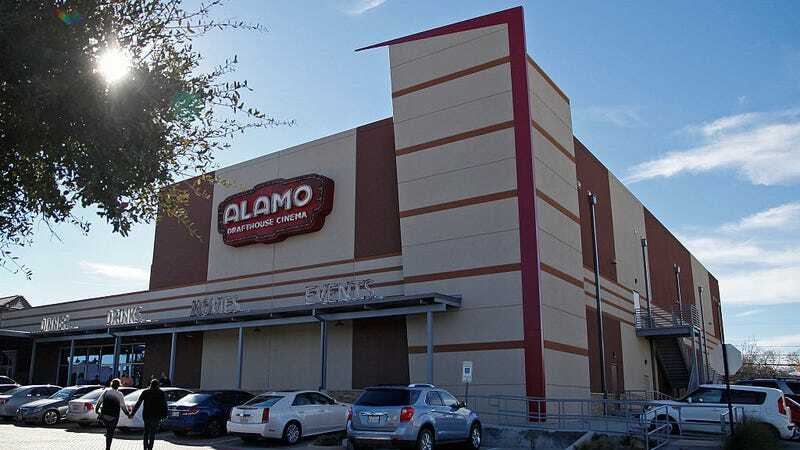 On Monday, a member of the film community, George Hickman, pointed out that some copy and film blurbs for the upcoming film festival Fantastic Fest (which takes place at Alamo Drafthouse South Lamar) are written by Faraci. League also writes in his statement that after Faraci stepped down from Birth.Movies.Death, he did not write for the site. But once it became clear “his efforts were sincere,” League offered him copywriting work, which has now included writing blurbs for the Fantastic Fest guide. League says Faraci does not hold a leadership position at either site, and he will not be attending the festival. Jezebel has also reached out to League to clarify exactly when Faraci first began contributing again to Drafthouse properties after stepping down from Birth.Movies.Death. I am happy that Devin got into treatment and genuinely support his ongoing healing work and at the same time I wonder what message bringing him back on board at Alamo Drafthouse in such a secretive way sends to women and other people subject to his abuse over the years, especially those who are interested in working in the film industry and in criticism. The message I personally get from it is that it seems like Alamo Drafthouse is not interested in conversations about how to become a more supportive space for women except in the most performative way. The conversation about Devin Faraci, Alamo and returns at a time when film communities are grappling with accusations of sexual misconduct and assault. Jezebel reported last month on the sexual harassment allegations at Cinefamily, a non-profit Los Angeles movie theater; on Monday, Cinefamily’s board released a statement about a hotline their investigative agency they had created for individuals to report “provide information in a safe and secure manner that might be relevant to the independent investigation into recent allegations against members (current or former) of the organization and its culture,” specifying that anonymity would be granted to callers and calls would be answered by women. Jezebel has reached out to Devin Faraci for comment and will update this post if he responds.